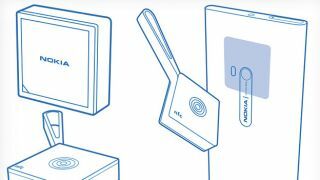 Nokia prepping Treasure Tag sensor to hunt down errant items? Attach to keys, be on time. Simple. Treasure Tags coming soon from Nokia? Nokia is reportedly plotting a new Bluetooth 4.0 and NFC-based accessory that users can attach to their valuables in order to make them easily trackable through an app on their Lumia Windows Phone devices. The Verge reported on Monday plans for a small 'Treasure Tag' sensor that can be strapped to keys, applied to laptops, tablets, cameras or other household items in order to keep tabs on them. According to the sources familiar with Nokia's plans, an accompanying app would show the item on a map, informing users when they're honing in on the errant item and even use the sensor to find the phone too. The report states: "You'll also be able to locate a phone that's paired to the sensor by holding down a key on the device. The sensor will trigger a notification sound on a phone, but only if it's within range." Like 'Tile' but for Lumia? The Treasure Tag accessory will go on sale in the next few weeks, once a forthcoming firmware update for Nokia Lumia phones to support low-powered Bluetooth 4.0 arrives. The app will, presumably, follow. However the idea, although useful, isn't exactly new. The Kickstarter-funded Tile device will perform a similar task for iPhone users and will also be powered by Bluetooth. The Verge's report also says the Finns are planning more Bluetooth-based accessories once its phones are equipped with the Bluetooth 4.0 support. Are you a Lumia user with a disposition for misplacing your keys and desperate to snap up a Treasure Tag? Anyone...?